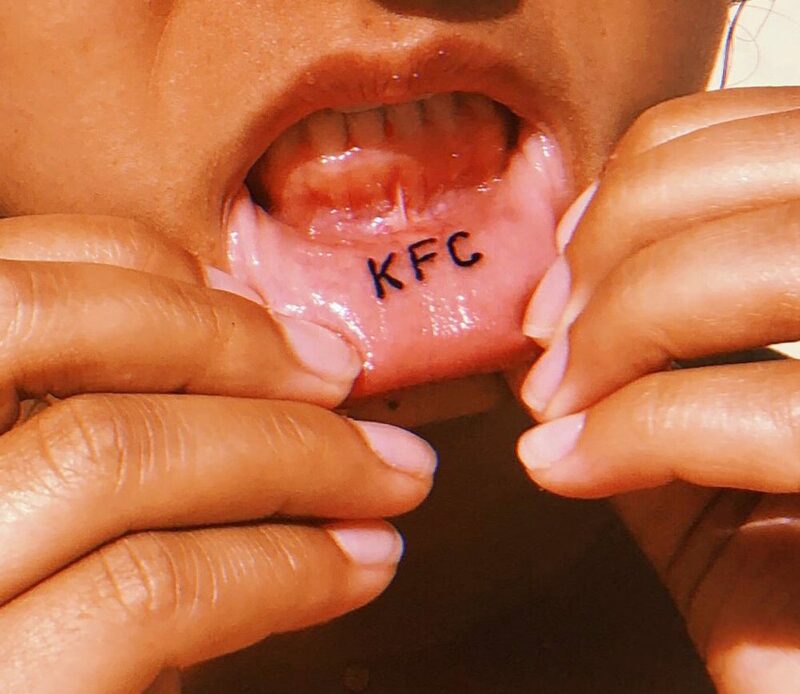 There are enough people out there who swear that they love a certain type of food or takeaway or whatever, but how many of you out there are willing to truly cement your love for all of eternity and get a tattoo on your bottom lip proclaiming your love? 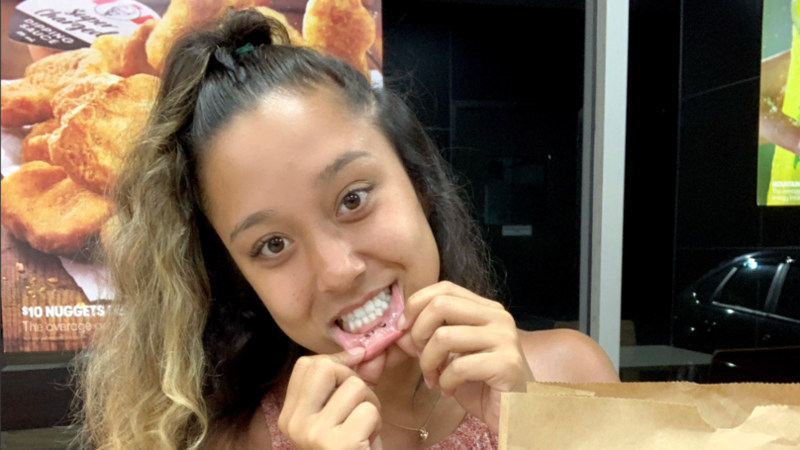 Sure, the whole thing about a tattoo on your bottom lip is that nobody who doesn’t want to see it is ever going to see it, but it’s still probably pretty expensive and painful to get done so there’s some degree of dedication required. 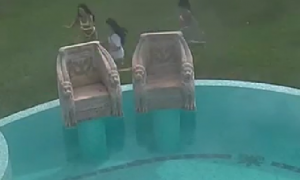 Tabatha Andrade was willing to do just that and although it does look kinda crappy – it’s not even the logo or anything, just the three letters – she’s still hoping that it’s done enough for those in power to give her some free stuff in return for repping the brand. I told my parents I wanted to get a tattoo, and they said I could get inked with something that was important to me. I was on holidays up in Queensland when the urge just suddenly came to me, and I decided to finally do it. KFC is my favourite fast food. I go these at least once a week, if not more. It does mean a lot to me, so it seemed fitting to get this tattoo. I really love chicken. All my friends call me the chicken connoisseur. I even named my dog ‘nugget’, because I’m obsessed with chicken nuggets. I have absolutely no regrets. It’s my favourite tattoo. I got the idea of doing it on the lip from Kendall Jenner. It seems to be popular these days, so I just thought why not. I showed my parents when I came home, and they thought it was fake. But they’re okay with it now. The tattoo artist laughed so hard when I told him what I wanted. It didn’t hurt at all. It only took about two minutes. I love the shock I get from people when I pull down my lip and show them. It’s always so funny. It would be awesome if they gave me free KFC because of it. Let’s see what happens. I mean they should probably at least give you a free Zinger Tower for that and probably a Big Daddy Box meal to be honest. I swear if you just rocked up to your local KFC and pulled your lip down to show that then the manager has gotta give you at least one free meal. I mean even just for the social media op. They’re missing out on a big trick if not. For more of the same, check out this person who reckons they found chicken brains in their KFC meal. That’s not so good.